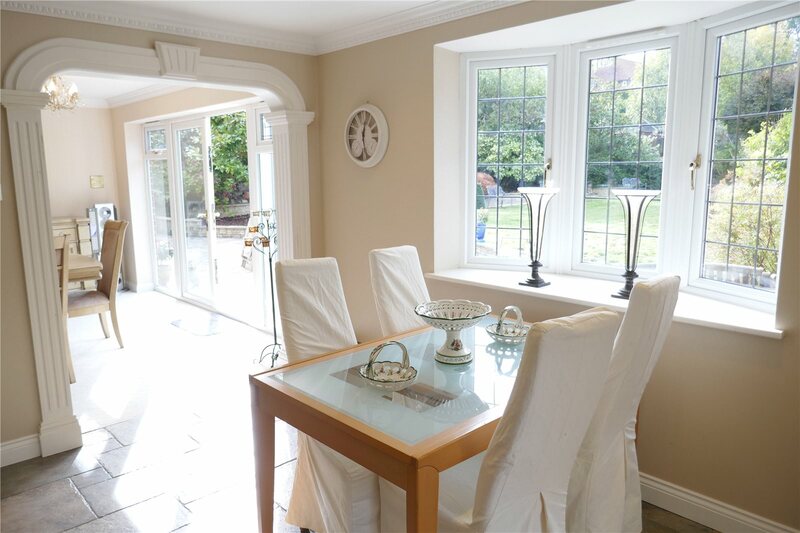 A remarkably spacious five bedroom detached family house extended and improved in recent years to a high specification with the benefit of a large 100' south westerly rear garden. 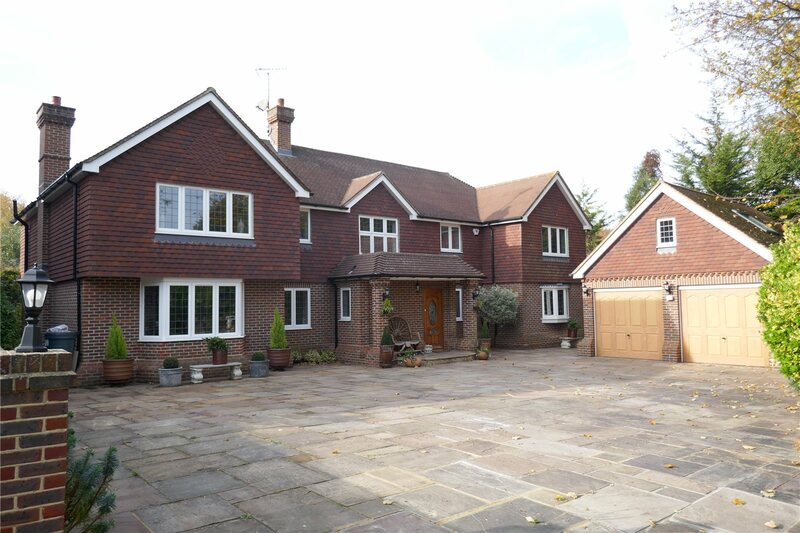 One of the finest detached residences within the sought after area of Ratton. 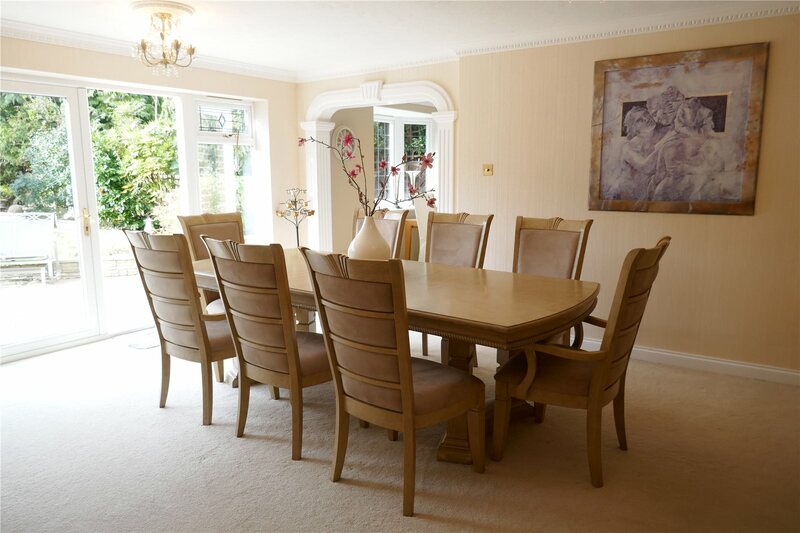 The property provides extremely generous accommodation incorporating a range of quality features throughout. 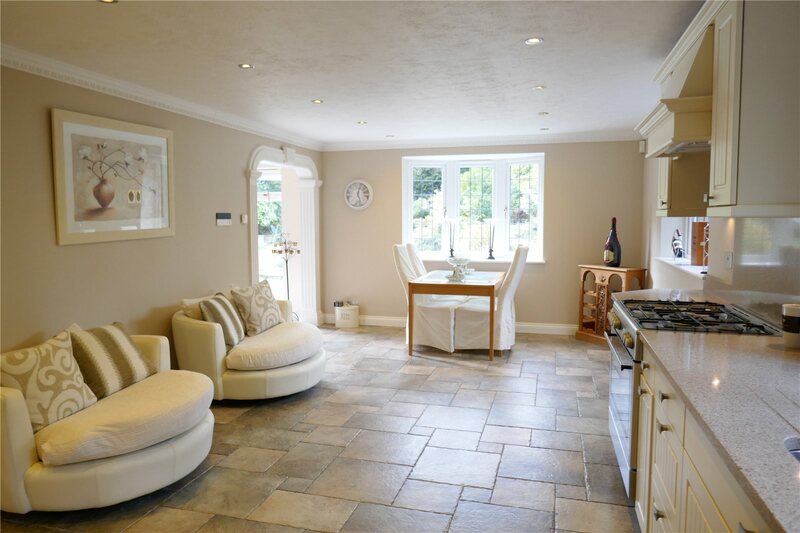 There is a 26' kitchen/dining/family room, three equally large reception rooms and a three room annexe. 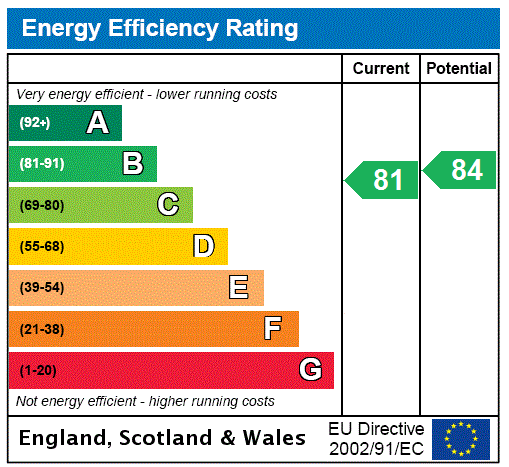 All the bathrooms are fitted to a high standard and the exceptionally high quality of the specification is unusual to find. 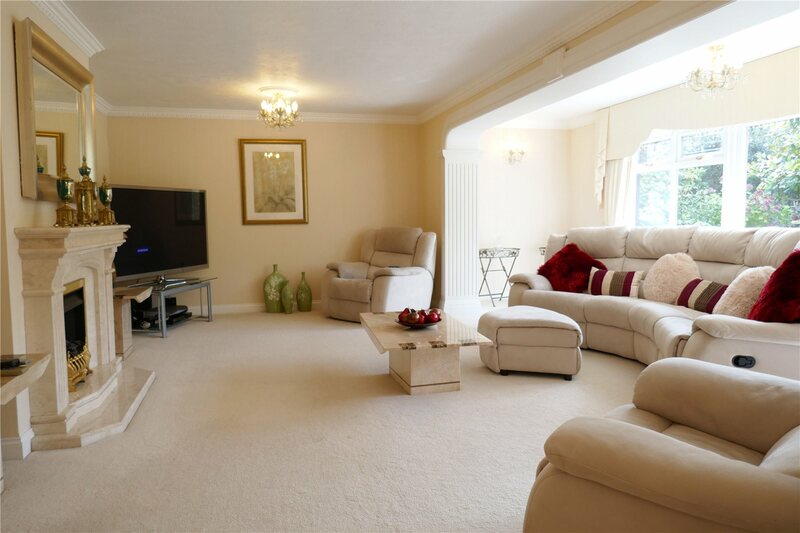 Only an inspection will convey the size and high merit of this outstanding home. Cloakroom/wcrefitted with white suite comprising wc, wash basin set into vanity unit with cupboards below, heated towel rail. 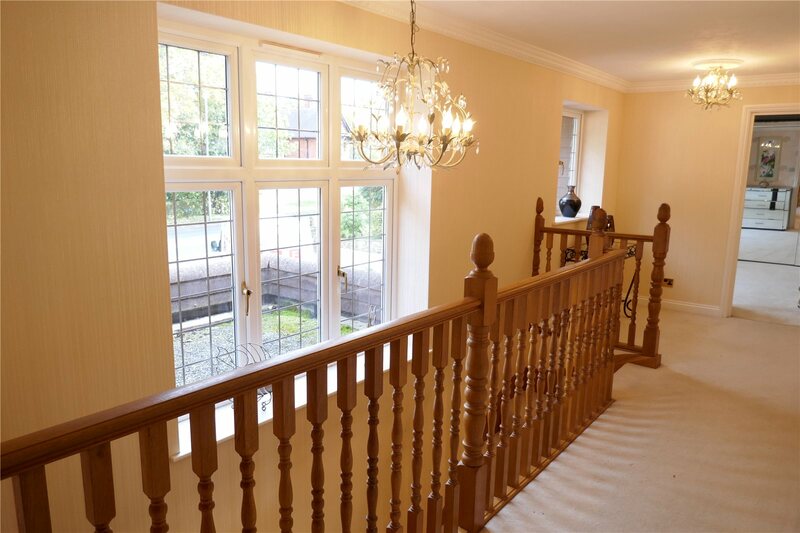 Reception Hallwith oak flooring, understairs storage cupboard. 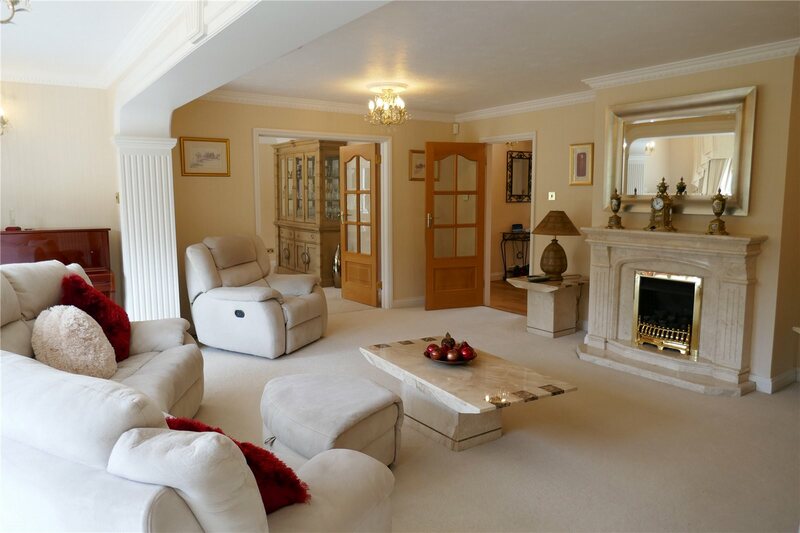 Spacious Sitting Room: 6.5m x 6.0m (21'2" x 19'7")affording a lovely garden aspect, handsome marble fireplace with fitted gas fire, underfloor heating, double doors to garden. 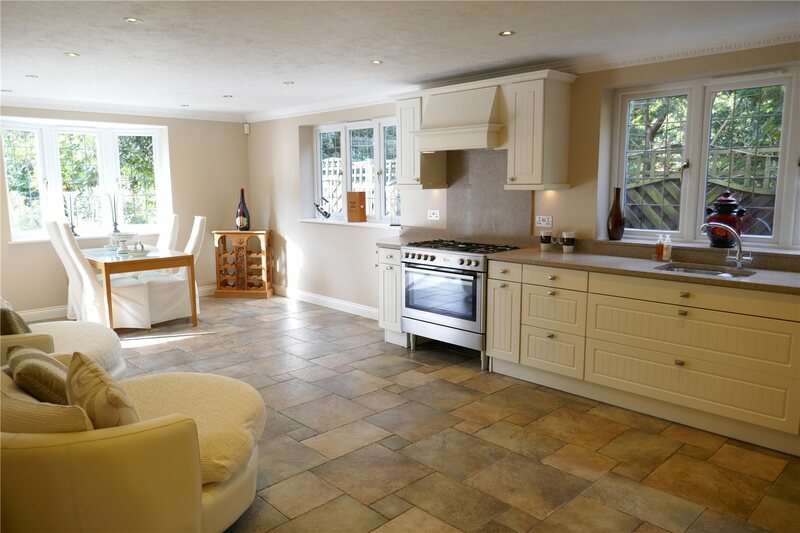 Utility Roomfitted with range of granite working surfaces with drawers and cupboards below, single bowl sink unit with mixer tap, integrated appliances include the washing machine, tumble dryer and wine cooler, airing cupboard with radiator, wall mounted gas fired boiler. 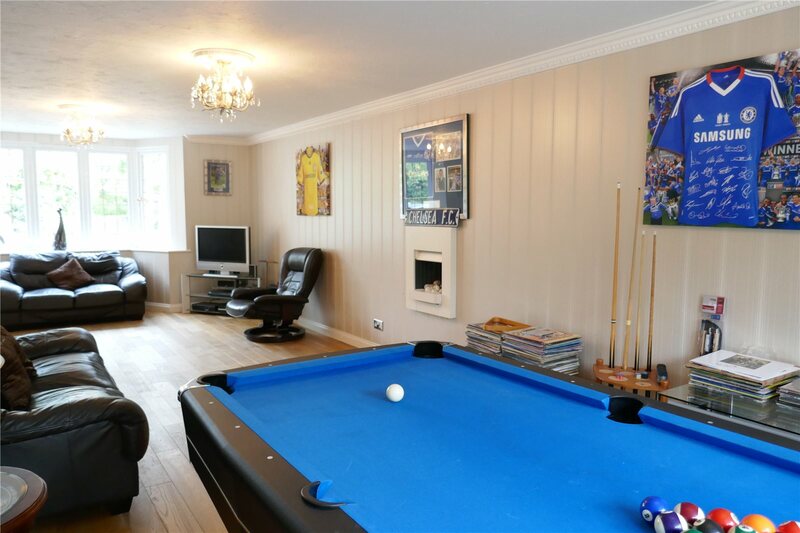 Third Reception Room/Games Room: 8.8m x 4.6m (28'10" x 15')into the recesses but excluding the depth of the bay window and securing an aspect over the rear garden, modern gas fire, underfloor heating.The handsome oak staircase rises to the first floor Galleried Landing with access to loft space with radiator. 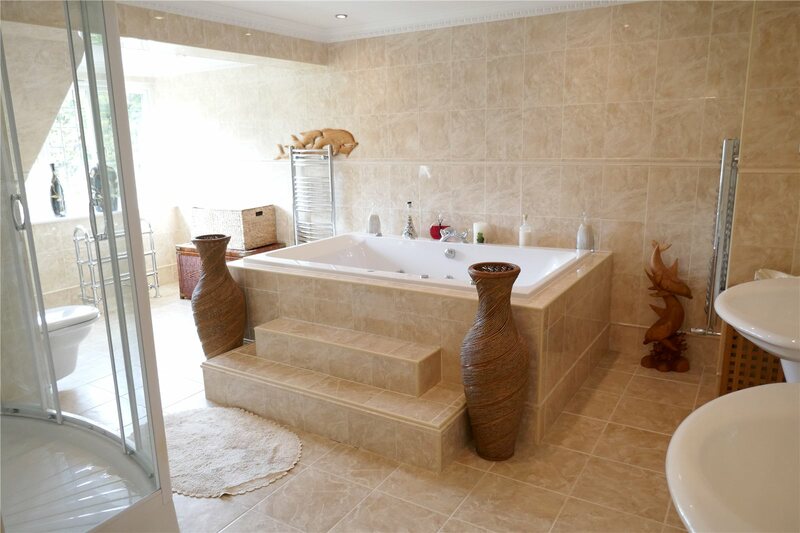 en Suite Bathroomluxuriously fitted with suite comprising large jacuzzi bath, separate Aqualux shower unit, his and hers wash basins, wc, fully tiled floor and tiled walls, underfloor heating. Bedroom 2: 5.6m x 3.2m (18'5" x 10'4")securing views toward the downs, radiator. Bedroom 3: 4.6m x 3.9m (15' x 12'8")commanding views over the garden to the downs beyond, radiator. 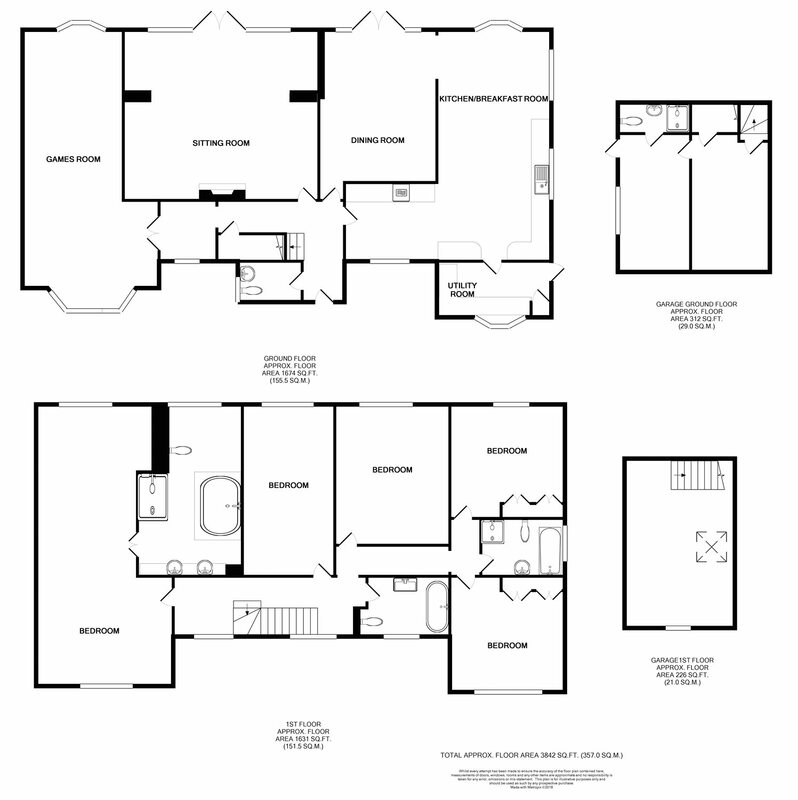 Bedroom 4: 4.0m x 3.8m (13'1" x 12'7")including the depth of the built in wardrobe cupboards, radiator. Bedroom 5: 3.9m x 3.8m (12'8" x 12'6")with garden aspect, built in wardrobe cupboards, radiator. Family Bathroomfitted with white suite comprising panelled bath and separate Pharo shower unit, glass wash basin, wc, heated towel rail. 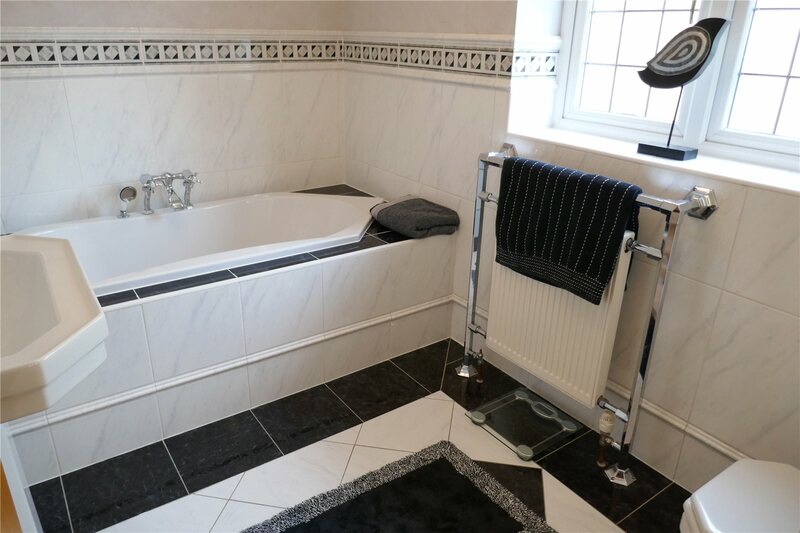 Third Bathroomluxuriously fitted to an Art Deco style with panelled bath, pedestal wash basin, low level wc, heated towel rail, underfloor heating. 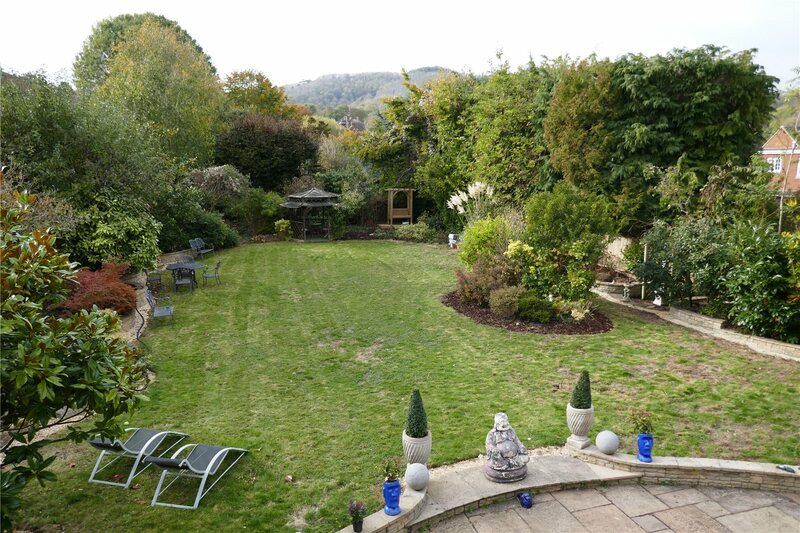 OutsideA particular feature of this property is the large rear garden securing a high degree of privacy and affording a south westerly aspect. 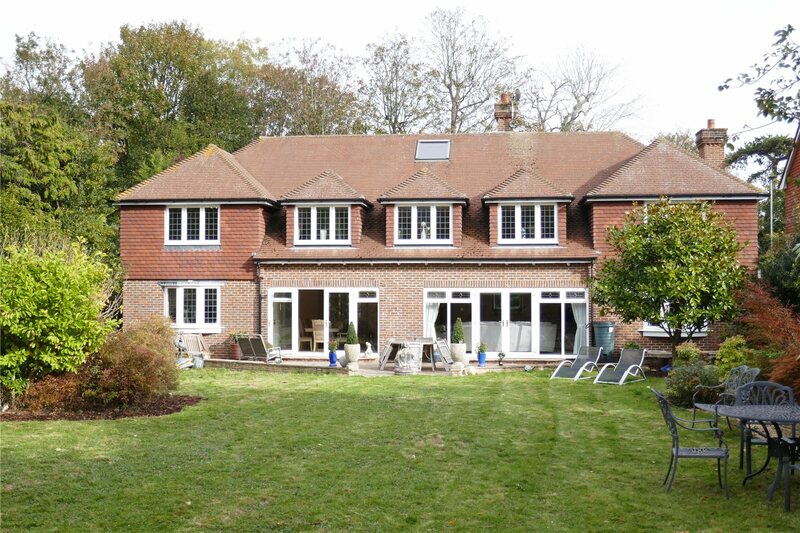 The lawned garden extends to depth in excess of 100' with raised flower beds and borders, a large wide patio area flanks the rear elevation providing seating/entertaining space with a high degree of available sunshine. Shower Roomfitted with white suite comprising shower unit, wash basin set into vanity unit with cupboards below, wc, heated towel rail. 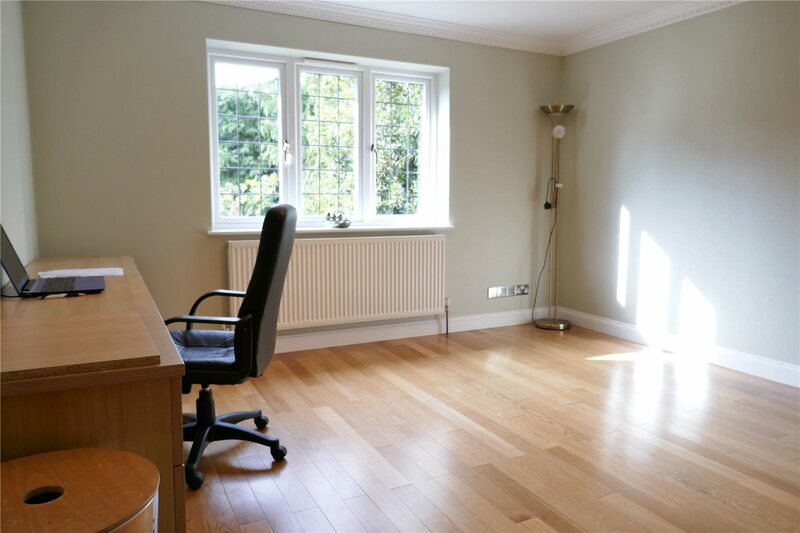 First floor Studio Room: 5.9m x 3.4m (19'3" x 11')with electric heater, undereaves storage cupboards.The large private driveway is paved for ease of maintenance and provides off road parking for a large number of vehicles.